Anyone who has passed their Class 10 board exams is hired by private hospitals, who give them six-month training to become a ‘practical nurse’. 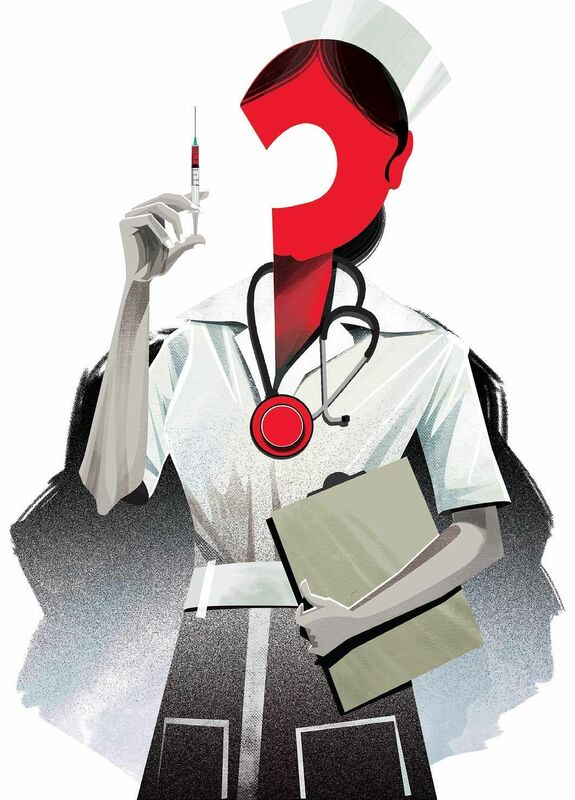 BENGALURU: Nurses have always been in the front line of healthcare. Yet, we have heard of them being exploited, with employers forcing them to work long hours and multiple shifts, and paying them a pittance. Hospitals in the city are trying to cut corners by employing poorly-paid, unregistered nurses. They hire people who have passed their Class 10 board exams and train them for around six months. These students are then deemed ‘practical nurses’, or ‘nurse or health assistant’ and do nursing duties at these private establishments. Their training pales in comparison to that given to registered nurses, whose graduation alone takes two to three years. This practice started after the Supreme Court ordered that registered nurses have to be paid a minimum of `20,000 per month. Private hospitals claim that they cannot afford to pay this salary, and therefore, hire locals who will stay on for longer and can be hired for `4,000-5,000 per month. Illustration used for representational purpose only. Dr Sudha Raddi, principal of KLE Nursing Institute and Medical College, says that the hospital trains 25 ‘practical nurses’ every year. “At least 70 per cent of the nursing staff in the city are unregistered,” she says. Hospitals hire them to save money, she says. “An unregistered nurse with 16 years of experience is paid `16,000,” says Sudha. These nurses also stick around longer since they cannot move abroad without being registered. Whereas, registered nurses stay at a hospital only for two years before moving abroad for better prospects, she says. 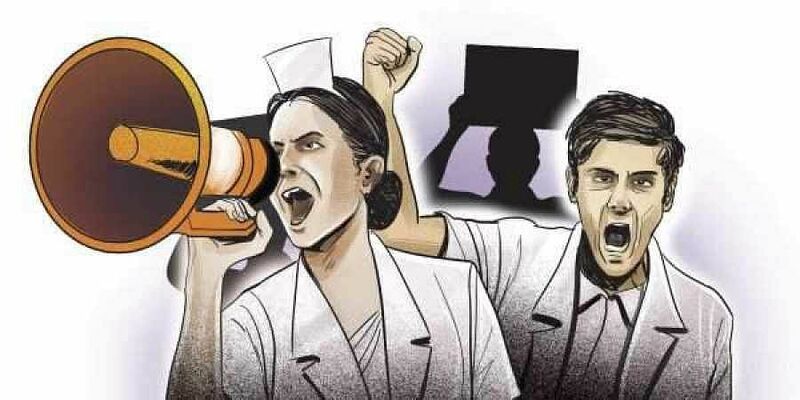 Girijamba Devi P, secretary of Trained Nurses Association of India (TNAI), says that hiring of unregistered nurses is unfortunate because it compromises the safety of the patient. “Nurses have no job security anyway, because they are hired as contract employees,” she asks. Girijamba has been a registered nurse for 25 years, and she says that working conditions have not improved till date. “I had a student who was earning `6,000 per month, and after taxes, she was getting `5,000 in hand. But after her basic expenses, she was left with `1,000 in hand. Even a house maid earns more than this,” says Girijamba. Shreya Kumar (name changed), a ‘health assistant’ at a top hospital in Bengaluru, was hired two years ago. This job helps her support her family, which is going through a financial crisis. “Even the little I earn goes a long way, and eventually, I may be able to become a registered nurse,” she says. Her colleague Priya Nair also faces a similar situation. However, she plans on shifting to a nursing home because the salary there is better, at `7,000.